On March 23, 2013, Carl was presented with a 'Diver of the Year' award at the annual Beneath the Sea Show in Secaucus, New Jersey. Secaucus is very close to New York City's huge population, and draws attendees from New Jersey, New York, Connecticut and other eastern states. 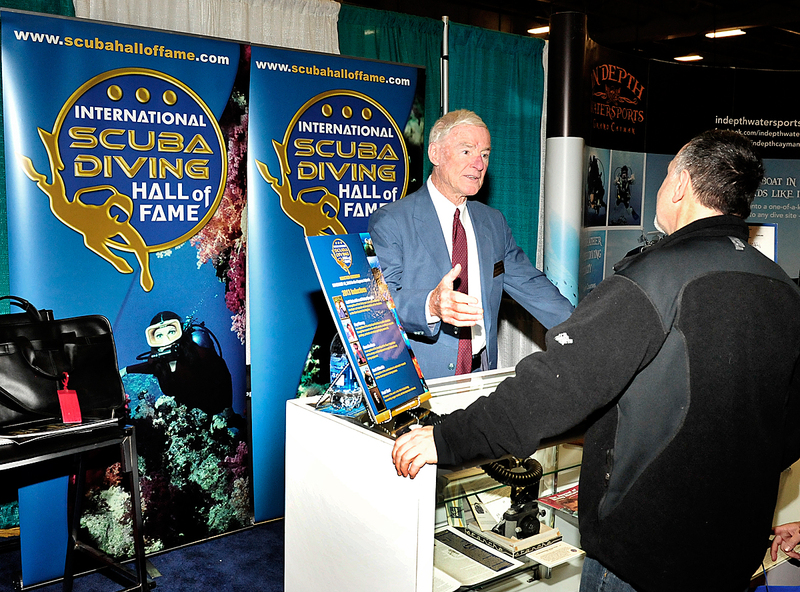 Thousands of divers attend this very popular exposition, which is also famous for its amazing volunteers and its charitable works in the community. 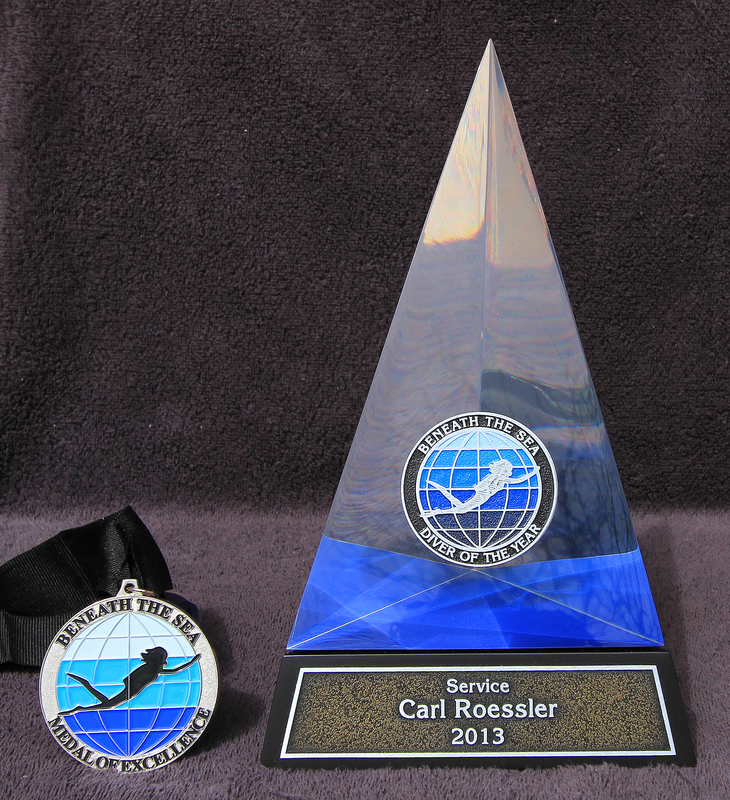 That makes the Diver of the Year Award an especially meaningful honor. 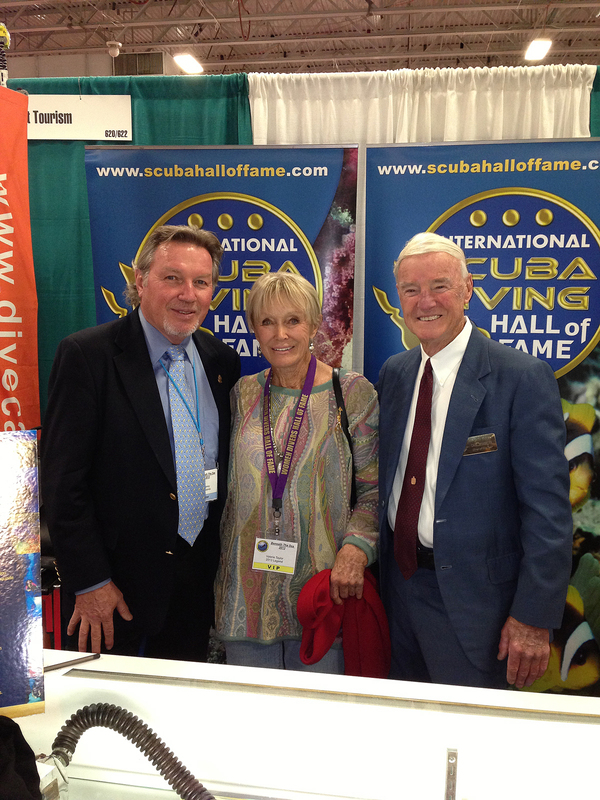 The Beneath the Sea Diver of the Year awards for 2013 have their own web page with further information on the award. Carl Roessler at Beneath the Sea March 23, 2013. Leslie Leaney, Valerie Taylor and award reciptient, Carl Roessle!. Beneath The See 'Scan' Of Show Floor Before Doors Open from Carl Roessler on Vimeo. All material in this Web Site is Copyright © Carl Roessler 2015 - All rights reserved.